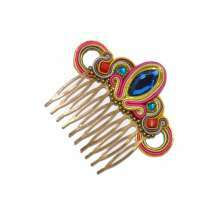 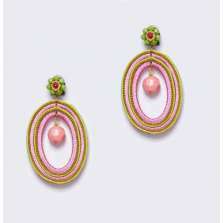 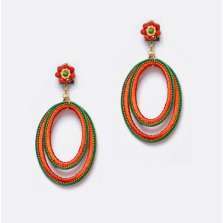 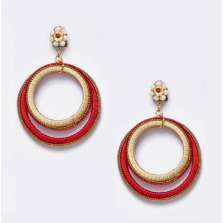 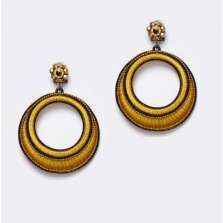 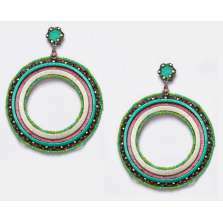 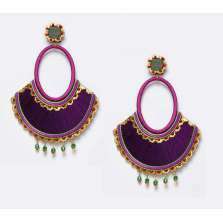 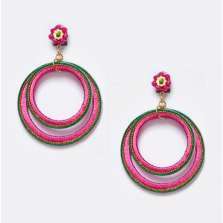 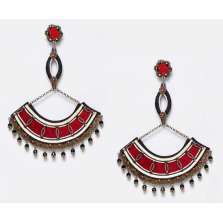 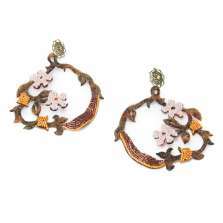 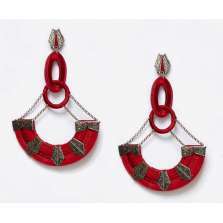 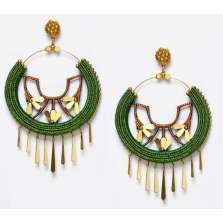 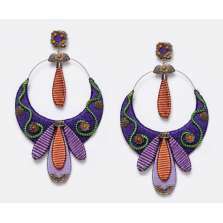 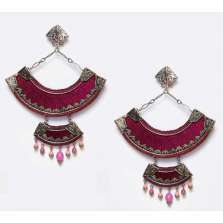 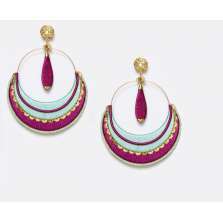 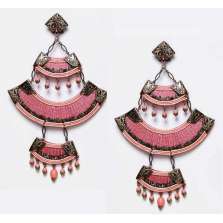 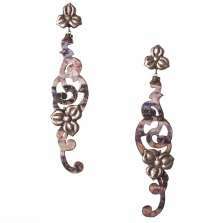 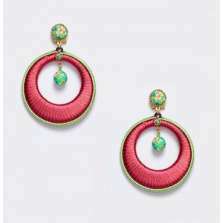 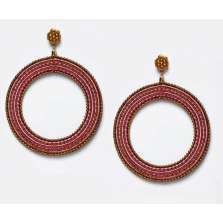 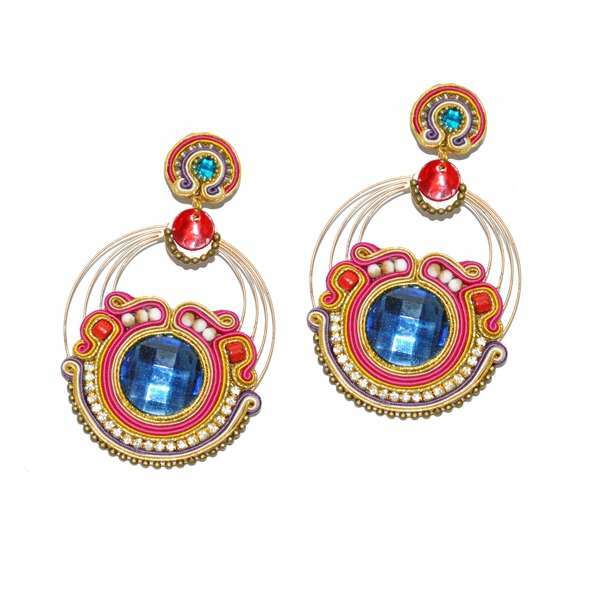 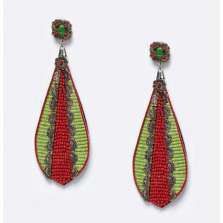 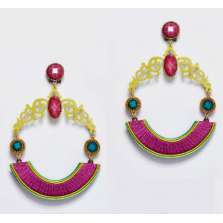 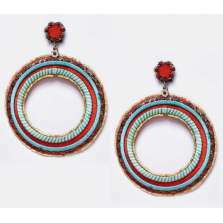 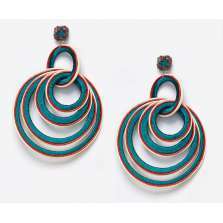 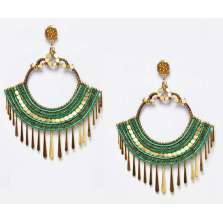 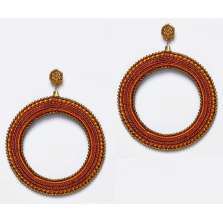 Three matte gold hoops compose the base of these earrings, which are decorated with applications in soutache. 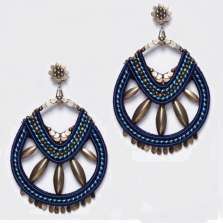 Distinct colors surround a central faceted blue stone. 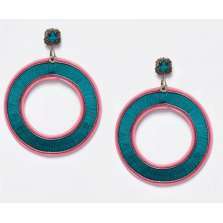 Not available in other colors.